Monday morning August 13th brought a significant amount of rain to our area in a very short period of time. The result was flash flooding that began to strand motorists and homeowners across the region. As is often the case, storms bring an increase in call volume. The Malvern Fire Company responded to five fire/rescue emergencies before lunch time on Monday. 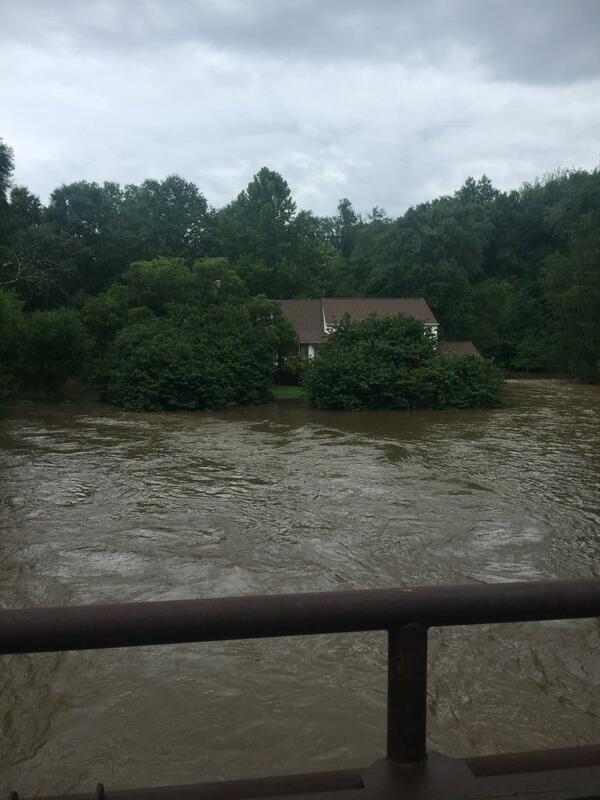 The most significant was a water rescue in the 100 block of Davis Road where Malvern crews and Boat 53 (Fame of WCFD) rescued two residents from a home that was severely flooded from a nearby creek. Fortunately, there were no injuries to the residents or the responders. 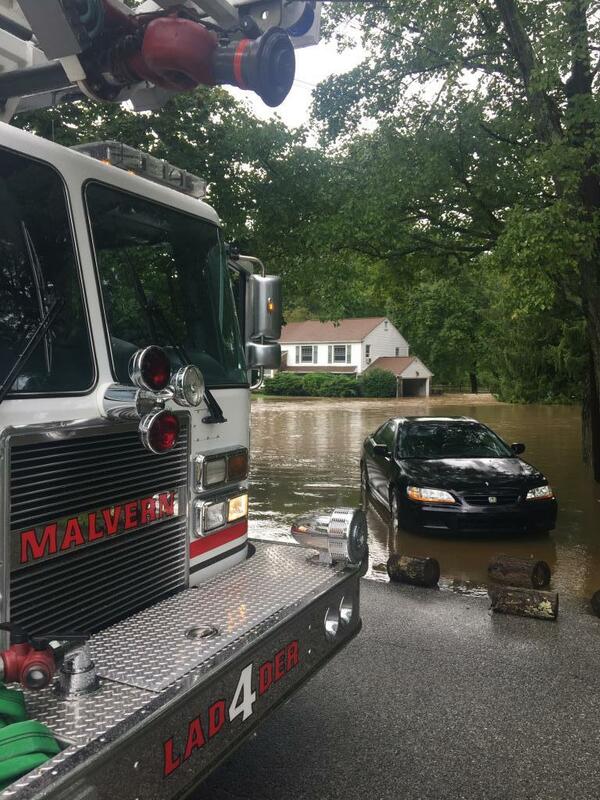 The Malvern Fire Company urges you to "turn around, don't drown". Only a few inches of swiftly moving water is enough to knock you off your feet or even move your vehicle. Please do not pass any barricades or voluntarily enter any high water.